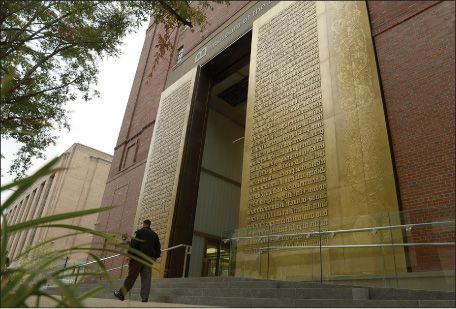 The Museum of the Bible: Washington, D.C.’s next battle zone? “It’s a museum of biblical proportions— and it is stirring controversies to match,” said David Smith in TheGuardian.com. The new Museum of the Bible opened last week in a block-wide, eight-story building near the National Mall, welcoming visitors to a collection of exhibits as high-tech as any in the world. The $500 million project is the brainchild of Hobby Lobby president Steve Green, the evangelical billionaire who won a Supreme Court case freeing business owners to opt out of providing employees insurance coverage for contraceptives. Though “not the monument to creationism that some liberals feared,” the museum hasn’t escaped criticism of either its message or the provenance of certain holdings. In July, Hobby Lobby was fined $3 million for illegally importing thousands of artifacts that had been smuggled out of Iraq. Those items, at least, never reached the museum.